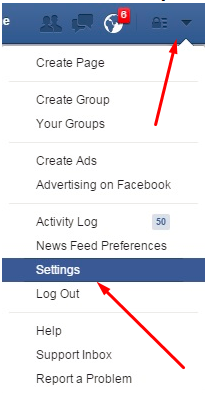 Change facebook language android phone or tablet computer? 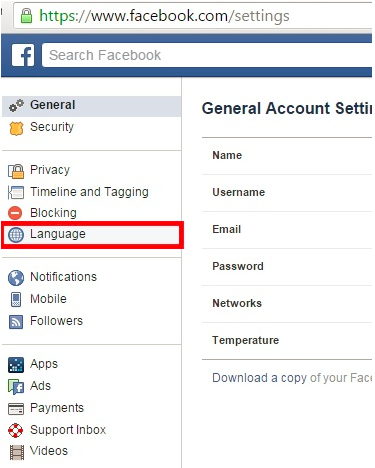 Or How to Change Language Back to English On Facebook. Facebook is just one of the most utilize social networking applications to get in touch with your friends and share images and video clips. In facebook you can pick your language such as English, Africans, Bosanski, Cestina, Deutsch, English (UK), Espanol, Filipino, Francais, Galego, Hausa, Italiano and extra. 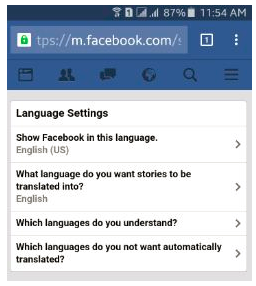 You could also see the setups of automatically translatd language and convert tales into your favored language in facebook language settings. 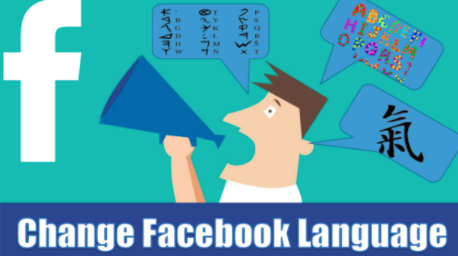 It's basic to change facebook language setups on your android lollipop (5.1.1) and various other devices. 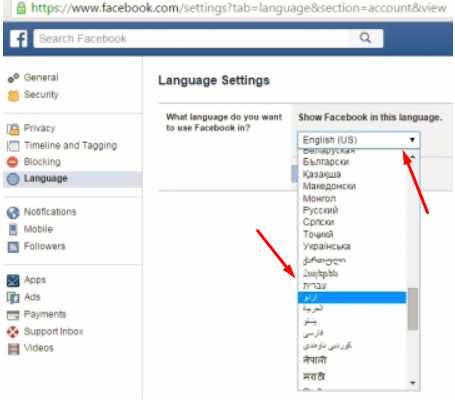 On your android phone browser (Chrome), you could alter facebook language using assistance & setups under facebook setups. 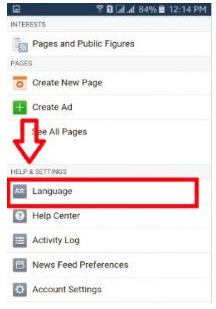 In this tutorial I will reveal you straightforward actions to alter facebook language android gadget chrome internet browser or facebook app. Step 1: Open Chrome or various other web browser on your android phone or tablet. Action 2: Log in your facebook account. Step 3: Touch on "three horizontal line" from top of the best side. Tip 4: Scroll down till see "Help and Settings" as well as tap on "Language". 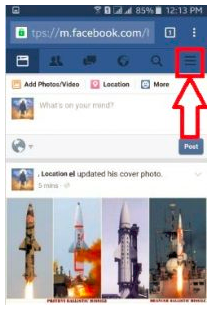 Tip 5: Select or touch on any language from above provided listing intend to set on your facebook language. 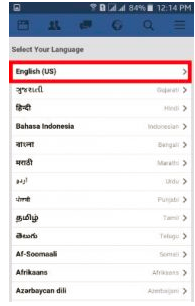 Step 6: Click on your picked language you could see the listed below display on your smartphone. Over you can see the straightforward actions to alter facebook language android lollipop (5.1.1) phone or tablet gadget. Did you discover the above offered process handy? Do not think twice to allow me recognize on listed below remark box, would be enjoyment in order to help you. Remember to share this facebook techniques with your friends on social media. Most likely to SETTINGS on the best side of your account web page. On the SETTINGS page, click on LANGUAGE on the left. On the Language Selections, choose "اردو" for Urdu Language. 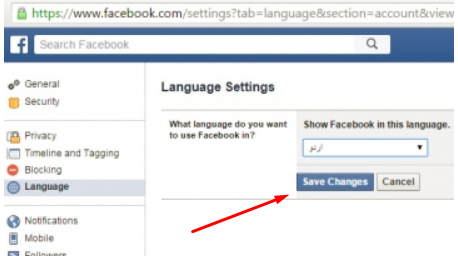 Click SAVE CHANGES to change your page's language to Urdu. Now, your page reveals Urdu Language.